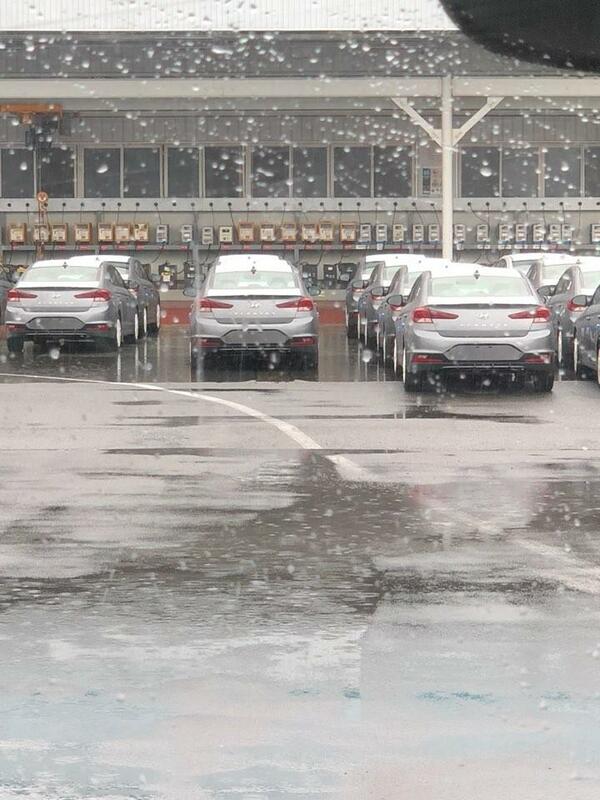 Update - More images have leaked online, completely revealing the 2019 Hyundai Elantra (2018 Hyundai Avante)'s exterior design. Image gallery at the end of the story updated with the latest images. 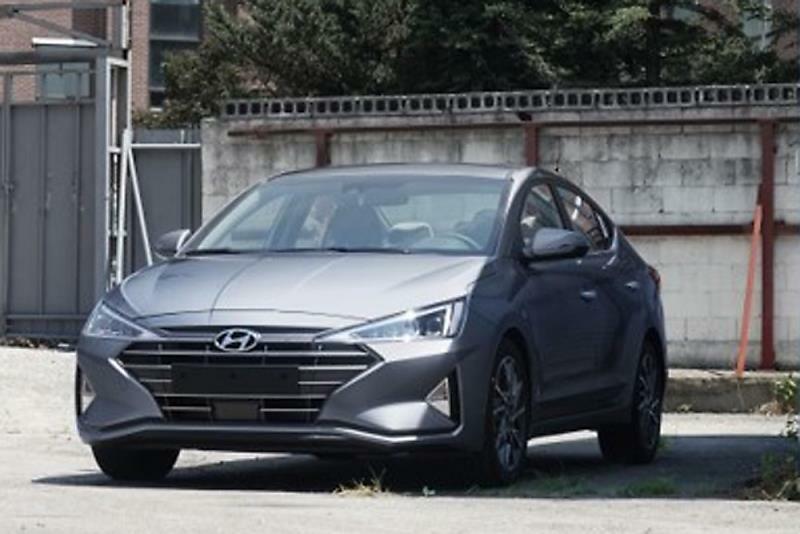 The 2019 Hyundai Elantra (2018 Hyundai Avante) will go on sale in South Korea in August 2018. Just weeks ahead of the facelifted model’s launch, it was spotted completely uncamouflaged in the country, photographs posted on social media groups, pages and web forums reveal. The sixth-gen Hyundai Elantra has some dramatic design changes for a mid-cycle update. The 2019 Hyundai Elantra has sweeping exterior changes that give it an upmarket character. The front-end incorporates the trademark Cascading grille, a signature Hyundai design trait. However, it is worth noticing how angular it looks unlike on other global Hyundai models. The razor-cut headlamps are a new Hyundai design feature and merge into this grille. The new fog lamps on the redesigned bumper have a triangular shape, with vertical air vents beside them, completing what could be the next face of Hyundai models. 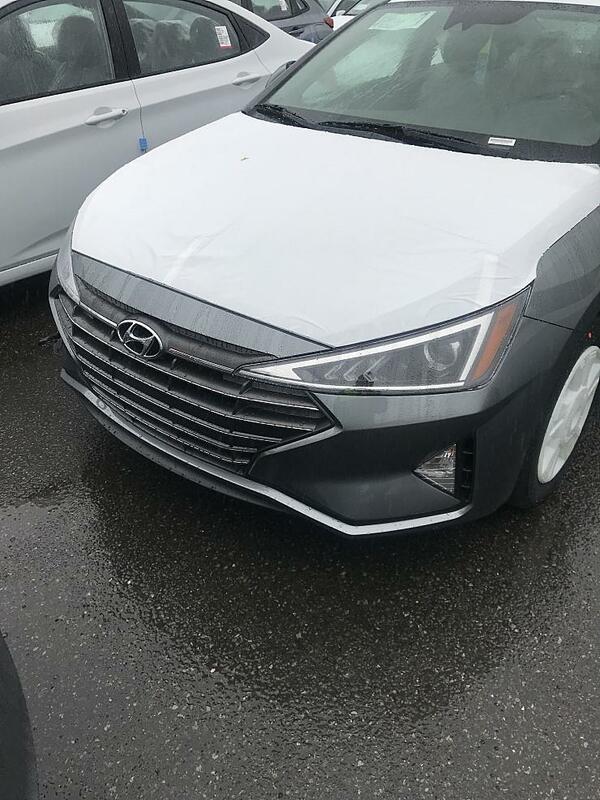 While the original sixth generation Hyundai Elantra was about combining curves with contours, the facelift is a big departure with an aggressive and dynamic design featuring edgy elements. The rear is also entirely new, and the Hyundai Sonata inspires changes in this section. The boot lid has the widely-spaced ‘ELANTRA’ and that the license plate has moved to the bumper. L-shaped split tail lamps extend to the extreme corners, emphasising the car’s width. Part of the rear reminds one of the sensuous Hyundai i30 Fastback. There's no word on the interior revisions due with the mid-cycle update, but one can expect new convenience features like Qi wireless charging pad and enhancements to the existing technologies, such as the infotainment system and the MID. Similarly, the mechanical changes are unreported. Hyundai could introduce the SmartStream G1.6-litre petrol engine with the SmartStream IVT (a CVT in common parlance). The new engine delivers 123 PS and 15.7 kg.m (154 Nm) of torque in the latest Kia K3 (Kia Forte). Also, it wouldn’t surprise us if the company announces a mild-hybrid system for the sedan at launch or a later date. The new Hyundai Elantra should reach overseas markets starting later this year. The facelifted Hyundai Elantra may go on sale in India sometime in 2019.